Metrics for what qualifies as the ‘best’ curriculum-based professional development program often differ slightly from district to district; school to school; even teacher to teacher. Generally speaking, adherence to content or subject; PD leaders’ levels of experience; and opportunities for participant discussions and networking are favorable—if not completely necessary—components for any curriculum-aligned PD program. But with Investigations Workshops, no superintendent, principal, or teacher has to worry about exclusionary PD programming. Since 1996, the Workshops team has been offering a varied selection of expert-led PD programs to complement the Investigations in Number, Data, and Space curriculum. From face-to-face workshops to customized professional development models to online courses catering to groups or individuals and ranging in duration from one day to one year, Workshops offers the most comprehensive Investigations PD programming out there AND the most customizable programming for any need; for a single participant; for all participants. In many ways, recognizing that we have a varied population of educators with different respective needs has helped us approach our customized Workshops programming,” she elaborates. “We have teachers who are very thirsty for face-to-face summer professional development and they seek out the opportunities that we can provide. We also have teachers who don’t want the intensive summer PD model, but get something out of customized Workshops institutes throughout the school year. And then we have a lot of teachers with packed schedules who prefer the new online course model, as they can fit it in to their busy schedules whenever they want. We know this custom approach is working because of word-of-mouth—teachers talk about their positive Workshops experiences, and we continue to get more and more interest in these opportunities. In the PD realm, one size does not fit all. Investigations Workshops offers the best variety of Investigations in Number, Data, and Space-specific professional development. We’ve been happily using the Workshops program for 5 years now, and plan on continuing to offer Workshops to all our teachers, new and experienced. For more information about Investigations Workshops professional development offerings, custom packages, testimonials, or to contact the Workshops team, please visit: http://investigations-workshops.terc.edu. In response to the need for quality math professional development that is available anytime and anywhere, TERC’s Investigations Workshops team has gone to the web. In 2012, they launched their online program to great success, with a full-house first group of participants completing a 6-week online course. On January 23rd, they debuted their second online course offering. I had the opportunity to sit down with Myriam Steinback, Project Director of the Workshops, and Cynthia Garland Dore, Sr. Research Associate on the project and a veteran Investigations Workshops leader, to chat about the history of the Workshops, their current ruminations on online models for delivering targeted PD, and their hopes for the future of elementary math professional development. TERCTalks: Myriam, can you tell me how you got started with the Investigations Workshops? Myriam: When I first began leading elementary math PD workshops back in 1996, the typical programs available to teachers were one-time, less-than-half-a-day sessions. Many teachers wanted more from their professional development, but for a variety of reasons, districts were not as focused on providing in-depth PD offerings. We established the Investigations Workshops with the goal of providing intensive programs focused on augmenting mathematical content knowledge. We really wanted to develop a resource for continuous improvement in math teaching and teacher learning. Our first offerings were summer institutes in Massachusetts and Michigan but that soon expanded. We have provided support to schools and districts in 48 states and we run our programs throughout the year. We offer several content-specific workshops; targeted PD Institutes for district leaders and school administrators; and an institute for stakeholders who are designing Investigations-focused PD sessions themselves. Recently, we’ve started offering a blended Common Core Institute (including face-to-face work and follow-up webinars) to help leaders with the implementation of the CCSS. We also create customized programs for districts. TERCTalks: It has been a busy year for you with the launch of the online course. Could you tell me about the first class of teachers, and any observations and findings you have from the first iteration of the course? Myriam: I have to say we hesitated going online for a while, mainly because we wanted to do it right. A real strength of our face-to-face program is the collaborative inquiry into the math. You just can’t deny the incredible collective impact of a group of math educators fully engaged and excited about solving math problems together! We wanted to make sure we didn’t lose the kinds of meaningful interactions we saw in our face-to-face workshops. Fortunately, we had the right development team that included the curriculum authors and ETLO (EdTech Leaders Online). In the fall of 2012, we offered our first course—we ran five full sections—and the feedback was very gratifying. One participant told us that this course was the 8th online course she had taken and she had never had one that was so interactive and well set-up. She specifically mentioned loving the way she could view and interact with student work. Others mentioned how they appreciated being able to take the course with other teachers from their schools and how the time to reflect allowed them to get a better understanding of Common Core standards. TERCTalks: You have now both led face-to-face workshops and the online course. Can you talk about how they compare? Myriam: For those of us facilitating the course, comparisons with our face-to-face experiences were inevitable. Surprisingly, we realized that interactions among participants were not only possible, but also very reflective, engaging, and, in some cases—eloquently articulated. The asynchronous nature of the course prompted some participants to say, “I love that I can do this in my PJs whenever I want!” We even had a participant in one of our sections say—upon introducing herself—that she was due to give birth “any time now”, and would continue the course to completion, which is exactly what she did. Cynthia: While some participants ‘came’ to the course alone, some administrators registered groups of teachers from their schools and had them meet weekly to go through the week’s session together and discuss and debrief. We realize that this situation is not one that all schools can do, and we are in fact happy to have people from schools across the country in attendance.—however, the model of registering multiple teachers from the same school is a nice way to add a blended, face-to-face aspect to the programming. So we definitely can say it was a big success—the interactions among participating educators across grade levels, backgrounds, and differing geographic regions were powerful. TERCTalks: Can you elaborate on some of the cool tools and features of the online course? Myriam: The online course has ‘Voice Threads’, video, a sorting feature that allows participants to search and sort student work, and also ‘Key Learnings’ e-guides for each session. And the Discussion Forum includes prompts so that participants can address and respond to issues pertinent to each course session. Cynthia: I think the way we can archive the course experience is a wonderful feature. The course sections will be available for participants to return to for up to a year after they complete the course. The first course finished up in December, and already, I am impressed with the number of participants who have returned to the resources and conversations. TERCTalks: What’s next on the horizon for Investigations Workshops? Myriam: We are committed to offering a full suite of online programs to complement our face-to-face programs. New courses will be rolled out this spring. Our online course offerings allow us to strengthen a professional learning community of math educators that—in many ways—grew out of our institutes throughout the years. We’re able to continue the mission we established when we began—to provide resources that support continuous learning in mathematics education—and we couldn’t be happier that the response to our online program has been so enthusiastic. For more information about the Investigations Workshops PD offerings or to register, please visit: http://investigations-workshops.terc.edu/. Using Data*’s latest evaluation project with CNA* was featured in a July 12th blog on teacher data use for EdWeek’s Inside School Research. Reporter Sarah Sparks introduced data use programming as a “blossoming” area for federal School Improvement Fund and state improvement fund allocations—and dually, an area with little research backing the effectiveness of data-use training. But as a counterexample—Sparks cited Using Data’s current quantitative evaluation project with CNA, which is analyzing the PD program’s impact on teaching practice, student achievement, and potentially—educational policy. The Using Data professional development team has excellent qualitative evidence (in the form of numerous case studies) that the program improves facets of the secondary experience—ranging from teachers’ data literacy skills to student engagement to creating cohesive school communities. But now, as a subcontractor on CNA’s evaluation—they will have a record of Using Data’s quantitative impact in 30 southern U.S. schools. Over the course of 4 years, CNA is conducting rigorous statistical analyses of student achievement and teacher practice across treatment and control groups in these 30 schools—situated in a large, diverse, urban district with high poverty and varied success on standards-based tests for mathematics. 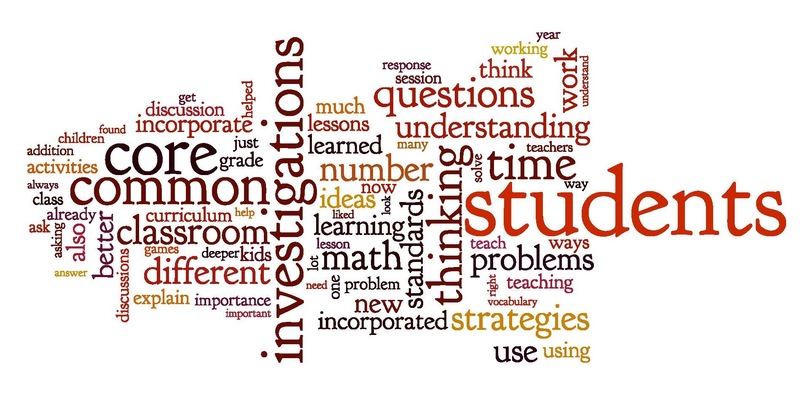 CNA researchers are examining the beginning and end scores of elementary students on the mathematics portion of the state assessment and testing participating teachers’ data literacy skills and attitudes. Also, the researchers will determine the extent to which teachers trained in the Using Data process were able to address students’ learning problems identified in their data and improve students’ understanding of mathematics concepts. Using Data is a professional development program for educators and administrators. Through a series of workshops, Using Data guides participants in working collaboratively and analytically with data in order to identify root causes, implementing research-based solutions, taking action, and monitoring the changes made in their schools and communities. Using Data’s programming has been used for over a decade in a diverse range of schools and districts: large and small urban, rural, and suburban settings, with demographics including English Language learners, special education students, and diverse student and high poverty populations. For more information, please visit: http://usingdata.terc.edu. The CNA Corporation is a Washington, D.C. area operations research and analysis organization. For over 70 years, CNA has conducted research to inform the work of public policy and government decision-makers, and its work—which in its early decades focused solely on defense-related matters—has grown to include investigation and analysis of a broad range of public-interest issues including education, health care and public health, homeland security, and air traffic management. For more information, please visit: http://www.cna.org.